As rumored last week, Samsung has officially announced the Galaxy Tab S2. Available in 9.7-inch and 8-inch variants, the device is claimed to be the company's thinnest and lightest tablet of its size. "The Galaxy Tab S2 is not only our thinnest and lightest tablet of its size ever, it also gives users quick, easy access to a wealth of superior viewing and productivity features," said JK Shin, CEO and President of IT & Mobile Division at Samsung. "We believe the Samsung Galaxy Tab S2 is the most complete personal visual device designed for consumers to carry and use anywhere." Specs-wise, the Galaxy Tab S2 8.0 is powered by an octa-core processor (quad 1.9GHz + quad 1.3GHz), and sports an 8-inch Super AMOLED display with 1536 x 2048 pixels resolution. It comes with 3GB RAM and 32GB/64GB expandable internal storage options, and packs in a 4000mAh battery. In terms of camera, the Tab S2 8.0 features an 8MP rear unit and a 2.1MP front shooter. It is 5.6mm thin, weighs in at 265g, and runs Android 5.0 Lollipop out-of-the-box. On the other hand, the Galaxy Tab S2 9.7 sports a 9.7-inch Super AMOLED display, packs in a 5870mAh battery, and weighs in at 389g. 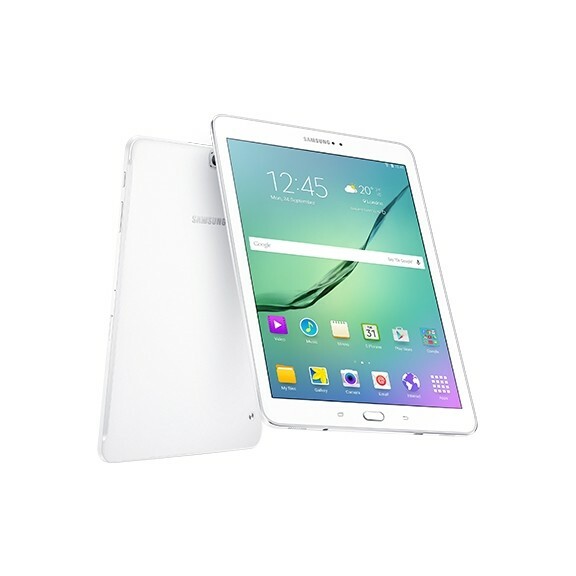 Rest of its specifications are same as that of the Galaxy Tab S2 8.0. Both variants are available in Wi-Fi only or Wi-Fi and LTE configurations, come with a touch-enabled Fingerprint Scanner, and offer Multitasking. As for the availability, the South Korean company said that the tablet will be available for purchase globally starting next month. There was no word on pricing.